Kwasi Appiah, has no doubt whatsoever that he has a wide pool of players to select for international duty and has pledged to explore the best of talents at his disposal for the ultimate success of the national team. The former Ghana captain takes charge of his first game back at the helm on Sunday against Ethiopia in a 2019 Africa Cup of Nations qualifier in Kumasi. He has named a provisional squad of 30 players for the game as well as two friendlies with Mexico and USA, on June 28 and July 1, respectively, but has come under scrutiny from some critics wondering why some highly rated players like Mubarak Wakaso, Christian Atsu and Richmond Boakye Yiadom were left out. The Black Stars coach is however, taking the criticisms calmly and has defended his call-ups insisting every good player will have their chance to prove themselves. “I feel in Ghana we can even have four players for one position, that’s how good we are and shows the quality available for selection,” he said on the Legends Night TV Show on GHOne. Coach Appiah says he is not surprised over outcries by certain players who are not part of the team for the upcoming three games, maintaining that it is rather a good omen. “We have lot of talents in the country and I want to do my best by making good use of them and create competition in the team. 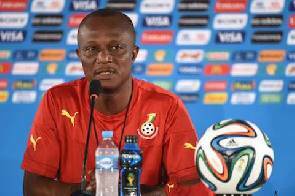 All we want is the best for Ghana,” Kwasi Appiah explained.